The selection of a suitable packaging film helps to protect the product optimally and to extend the minimum shelf life.Unrivaled barrier properties for aluminium foil exclude moisture, light, microorganisms and other gases making it a suitable material for food packaging and pharmaceutical packaging. Aluminium foil containers are also gaining popularity in the food industry. Manufacturers are also developing aluminium foil packaging for pharmaceutical packaging that can be easily coated, laminated, and cold-formed. As per the requirement of the product to be packed in the aluminium foil, companies are developing aluminium foil bags, containers, and other such products. However, easily torn, low intensity, are hampering the demand for aluminium foil. 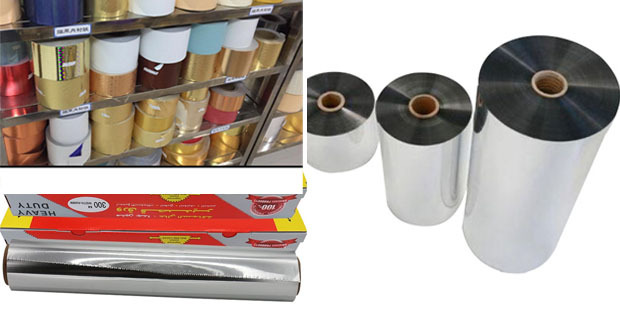 Hence, manufacturers are researching on developing durable aluminium foil packaging for various application. However, in the case of aluminum foil it is only guaranteed if it does not come into contact with particularly acidic or salty foods. Under the influence of acid and salt, aluminium ions dissolve and pass into the food. Aluminium packaging is light, flexible and easily recyclable. Furthermore, it is hygienic, non-toxic and helps in keeping the aroma of foods. It keeps the food fresh for a long time and provides protection from light, ultraviolet radiation, oils and grease, water vapour, oxygen and microorganisms. The efficient storage of food and beverages in aluminum packaging reduces the need for cooling and makes it spoil slower. In addition, the low weight of the aluminum reduces required energy during transport. Colorful packages often sell better. In many cases, costumers choose a particular product because they feel attracted by the design of the packaging. Films of 10 to 12 µm are ideal for chocolates and candies, while 30-38 µm films are used in the dairy industry, for example for packaging desserts, pudding and yogurt. For marmalades and pies, however, aluminum foils of 50-70 µm are the right choice. Tagged aluminium foil bag, aluminium foil for food packaging, Aluminium foil packaging, aluminium foil printing, food packaging aluminium foil. Bookmark the permalink.